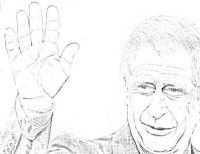 Prince Charles is the kind of person who likes to get things done, likes to see things through to the end. His hand belongs to a person who can get impatient with delay. He is a doer. Active and energetic. All this is evident from even a quick glance at his hand. His hand is fairly easy to read as some of the signs are obvious. Thick fingers, slightly on the shorter side, hand too on the shorter side, and also deep pink with strong mounts. But what does this kind of hand show about the Prince as a man? What is he like from the inside? Well, it's not all good. You can check out hand photos of him here and here. 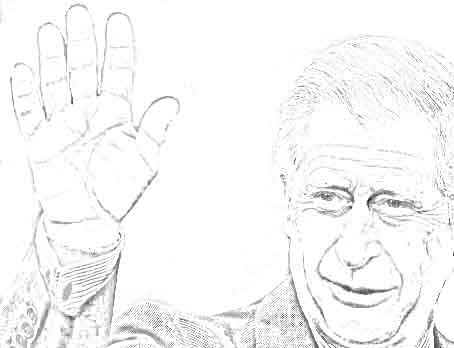 Prince Charles' hands and nails show his energy, but they also show him to be temperamental and hot-headed. The conic tips and a strong Mounts of Mars accentuate this trait. He is certainly not the kind of man one should cross! Temper, aggressiveness and the ability to resist, he has it all. His thumb is good too and shows his strong willpower and stubbornness. His nature is such that he likes to solve problems, not just think about them. Neither will he like to wallow in misery. He will take quick decisions to make things better, and act on them. In this, he can at times go to an extreme. He is the kind who can be so busy executing his plans that he may neglect to notice that he is breaking a few rules or that he has not gone into the details of his plans. 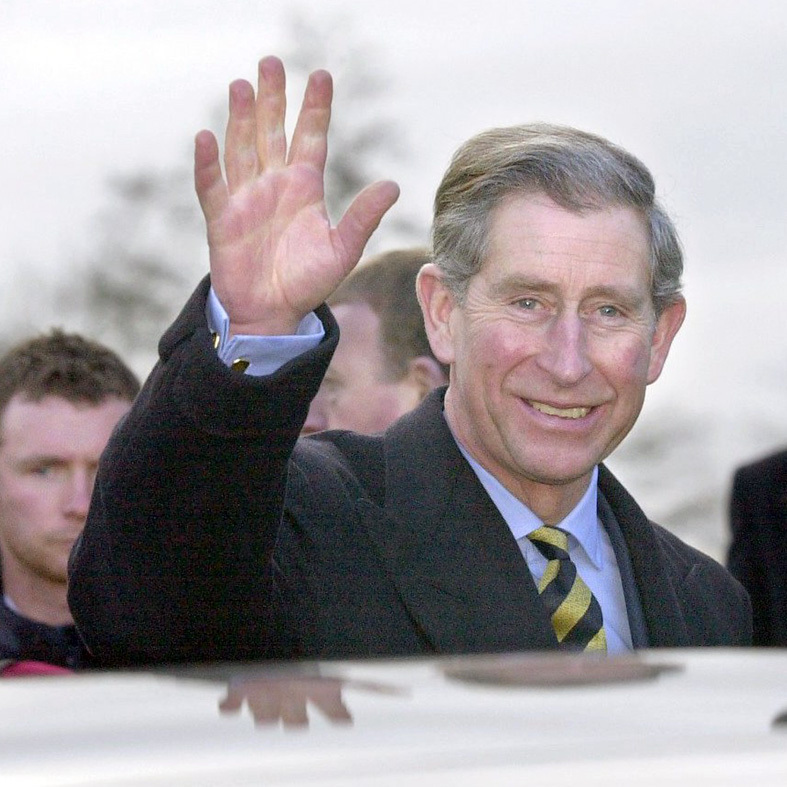 But Prince Charles will never be petty or mean or vindictive, although he may hurt people with his bluntness. One of the signs that shows this is the shape of his palm, which shows his ability to see things from a broad perspective. True, he can be set and rigid in some ways, and cautious as well, but he has a big heart and will be able to see things from an unselfish standpoint. The conic Jupiter finger and the good first phalange of the same finger show him to be a person who believes in a higher cause. The rest of his hand collaborates this reading - that of a person who will do things for others. His strong Mount of Venus tells us about his love for humanity and along with other signs, his charisma. Prince Charles is a warm and solid person. He is the kind of man who will never be driven by the love of money, but his weakness is that he is driven to a large extent by a need for appreciation. If he doesn’t get it, he will be an unhappy man. He is not the kind who will ever be happy to crawl into the woodwork, do his own thing, however important it is. This is evident by the shape of Jupiter finger and also by the thickness of the lower phalange of the Sun finger. It shows that he is controlling and desires (or is used to?) attention. However, he is not a tyrant by any means. What saves him is basic generous, kind and just nature. What I found most interesting about the Prince’s hand was the way some of his inherited traits have changed due to his environment. He was born a serious person, very focused, with an ability to be studious, but something in his environment altered him. This is one quality which is hard to change. 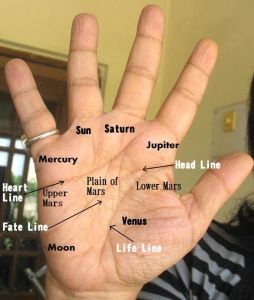 He has a strong Saturn finger on his left hand (which shows the qualities he was born with) but it is weak on the right. In fact, any change in the shape and size of a finger on any hand is significant. If one takes into account other traits which have changed, the conclusion one comes to is that Prince Charles was brought up with the idea that he needn’t ever do anything on his own. Today he lacks a strong tenacity of purpose and runs into a danger of scattering his energies. A pity, because with his noble ideals and strong will, he could have achieved anything he set his mind to. Another trait of his which has changed is evident from the finger of Jupiter. It shows that while he was born controlling, he was never this proud. Prince Charles may not have ever have been exactly humble, but he was never meant to be as proud as he is today. He was born with a normal dosage of the qualities of pride and righteousness and honour but today these qualities are out of balance. His third phalange of Mercury, amongst other signs, tell us of his stinginess, of the need he has to make every penny count. Only a detailed study of his lines can tell of future trends. But from whatever little I see from his lines, it is clear that he needs to be careful about his health. His hand shows him to be the kind of person who will tend to push his body to the limit, whether it be over-exerting himself in physical activity or not taking care to control his diet. He enjoys his food and drink and likes the pleasures of life a little too much. More related posts: The hand analysis of Princess Diana or Kate Middleton and the hands of the British Royals or Meghan Markle. Other hand profiles from the United Kingdom: The hand analysis of Britain's Prime Minister, Gordon Brown or the hand analysis of a British celebrity, Robert Pattinson. Maybe he should have gone to Copenhagen?